DNG Begley bring this fine four-bedroom home to the market. Presented in pristine condition throughout and extending to approximately 124.82 square metres across three floors, this home benefits from a unique design both inside and out. 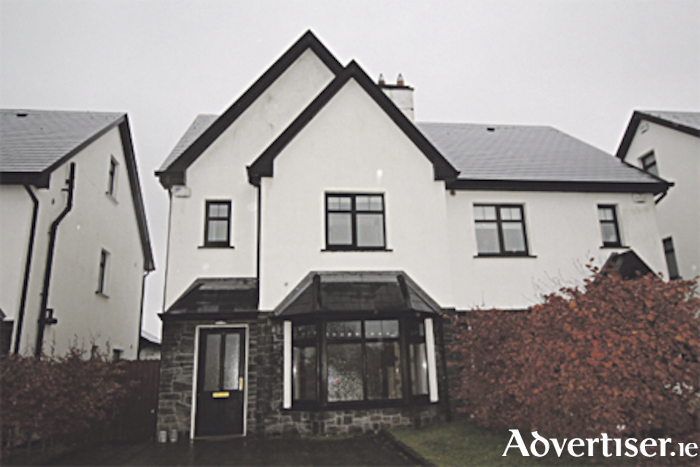 Sitting in a most sought after location in Moate, this home would make an ideal family residence or investment property. The home offers four bedrooms with two ensuite, a sitting room, bathroom, spacious open plan sitting room and kitchen area, a utility room and a guest wc. The bright and spacious dining room benefits from French doors leading out to a secure rear garden. This home is situated in close proximity to all the local services and amenities in Moate town, while also enjoying easy access to the M6 Motorway. With off-street parking and a private driveway, this home must be viewed to be fully appreciated. For more information or to arrange a viewing call DNG Begley, 20 Sean Costello Street, Athlone, on (090 ) 6491531.